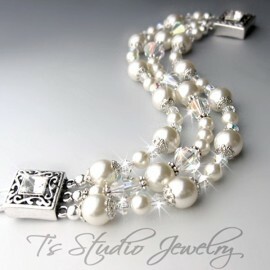 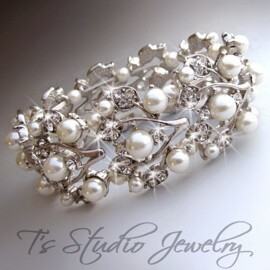 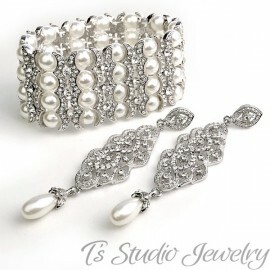 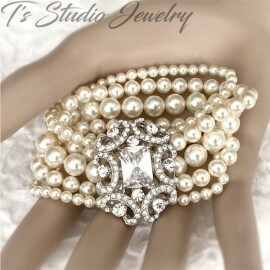 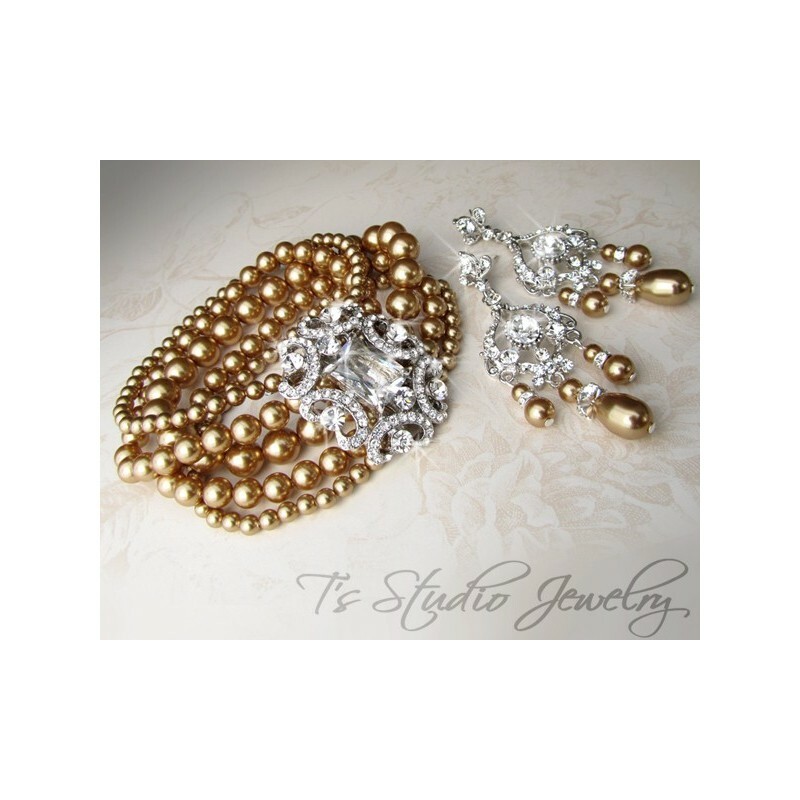 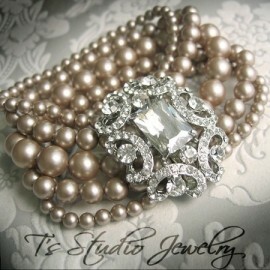 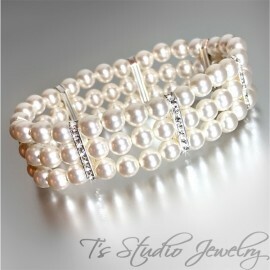 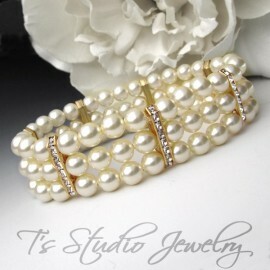 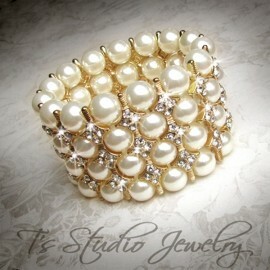 This beautiful cuff bracelet is just breathtaking! 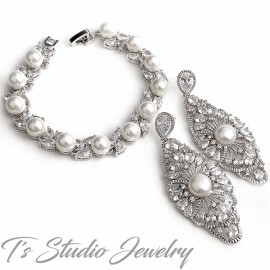 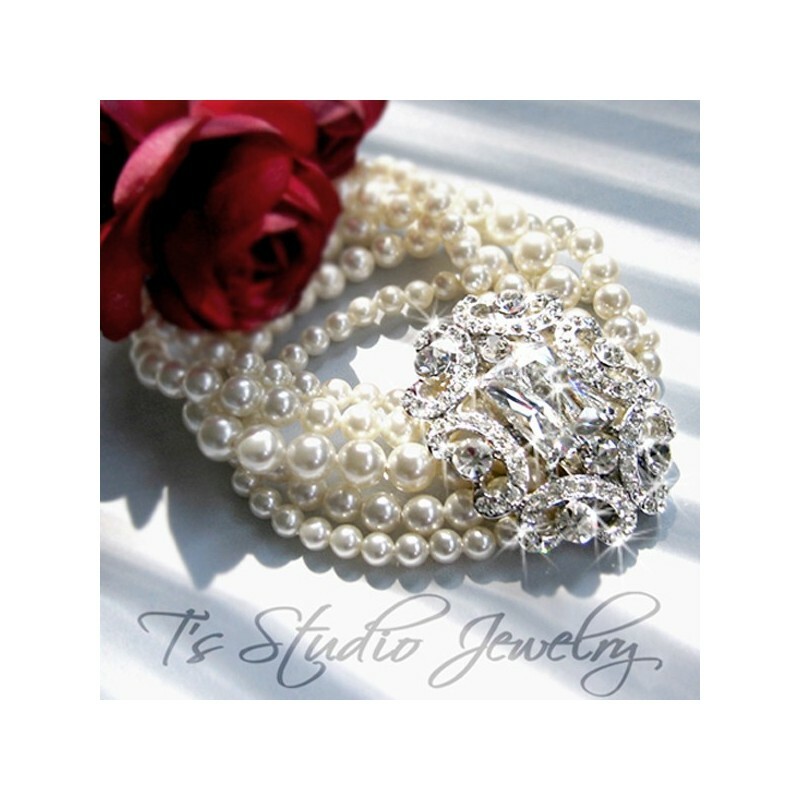 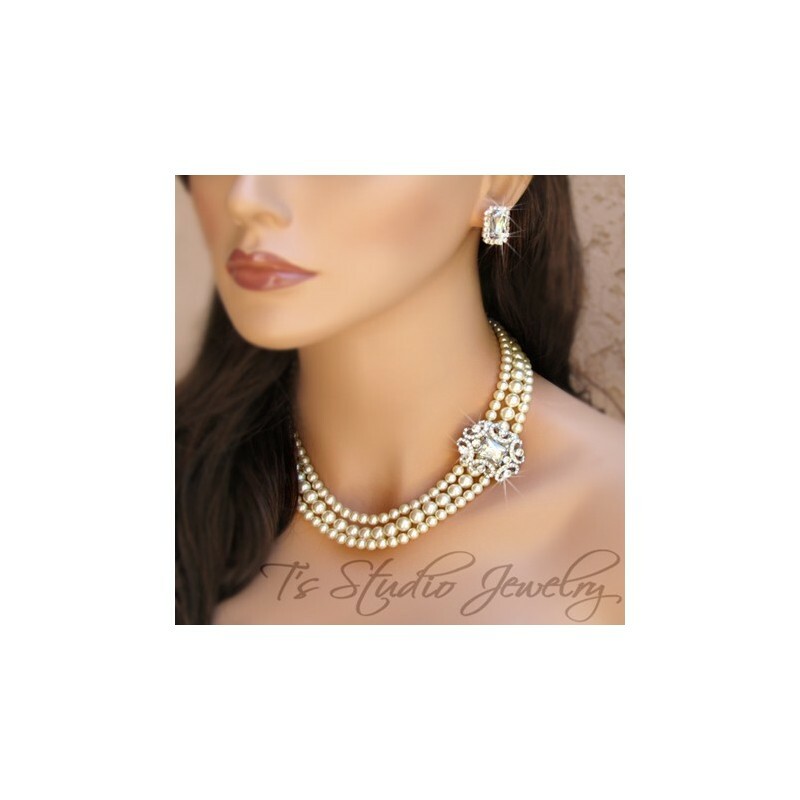 It is made with five strands of pearls, that graduate in size from a large strand of pearls in the center, to smaller size pearls on the outer strands. 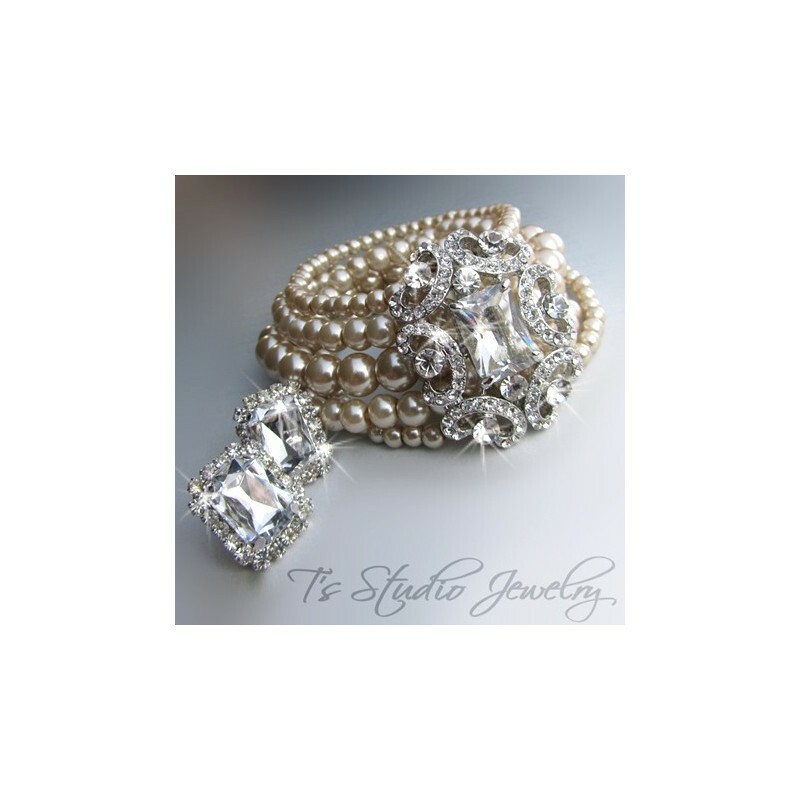 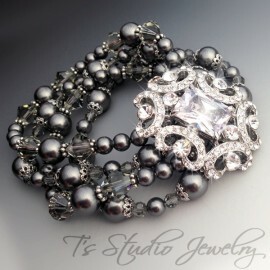 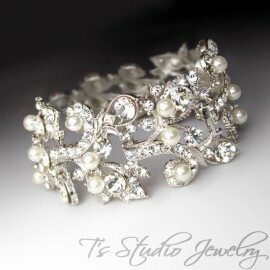 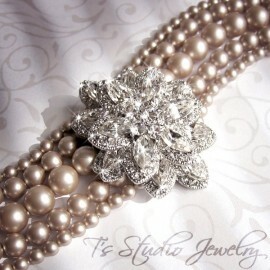 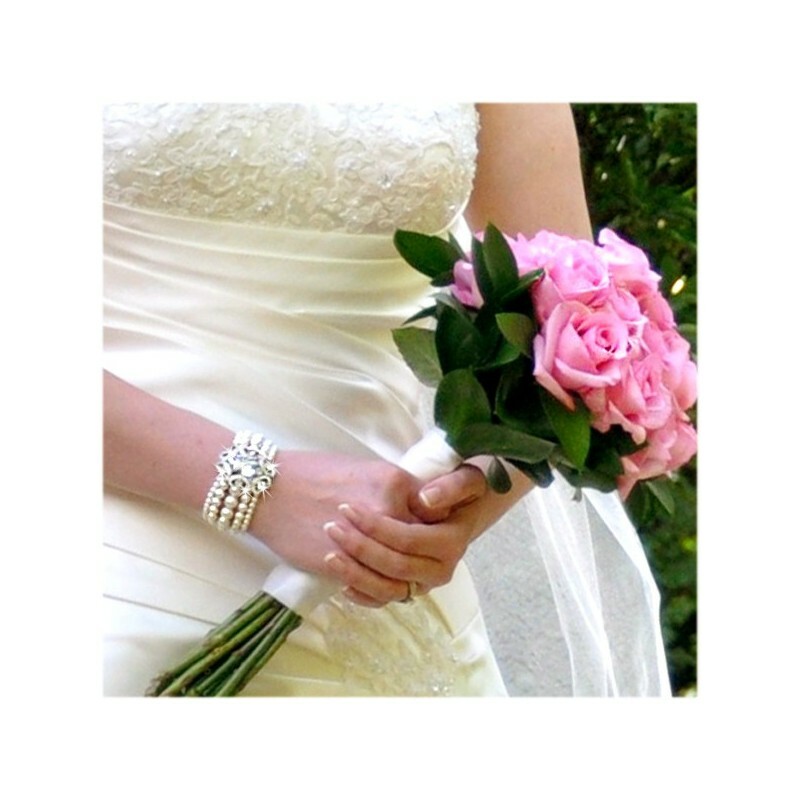 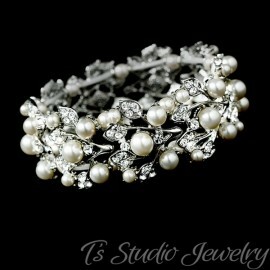 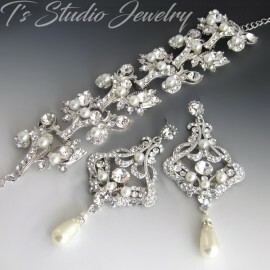 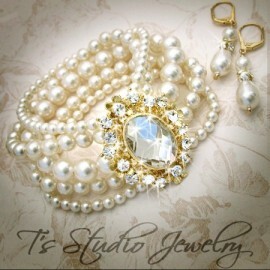 The crystal rhinestone flower centerpiece of this bracelet is, of course, what makes this bracelet so stunning! 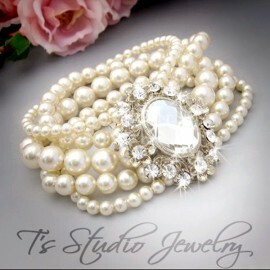 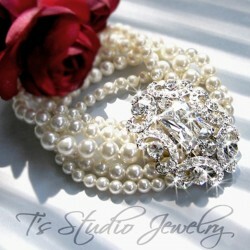 It is made up of clear crystal Swarovski Crystals, in a rhodium plated base metal.